Maximum Rate of Fire 700 r.p.m. Notes The SG-43 (Goryunov) was developed to replace the aging M.1910 as the standard medium machine gun. The M.1910/30 was cooled by a water jacket which was cumbersome and heavy, so the new weapon had to air cooled. 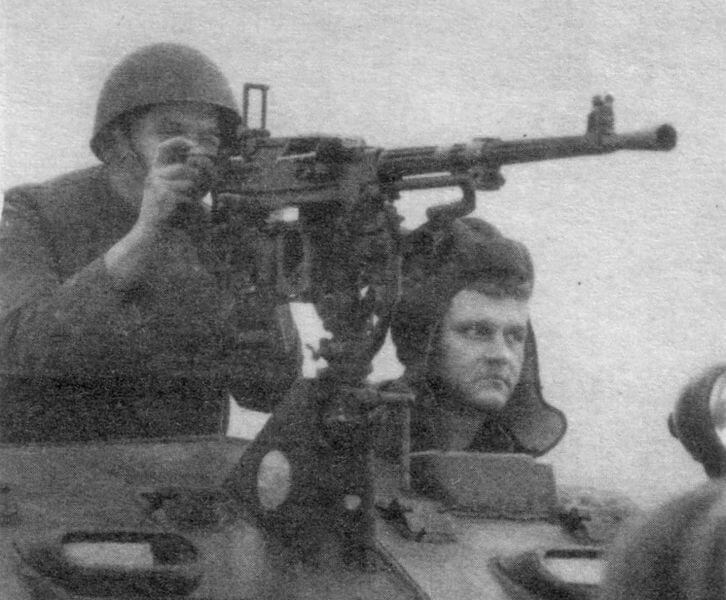 The SG-43 was belt fed and very reliable, and could fire for long periods before requiring a barrel change. It was mounted on a wheeled carriage and had a gun shield. Despite being a modern design it was never built in enough numbers to replace the M.1910/30.